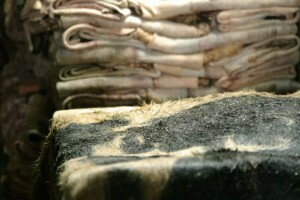 Leather is a kind of natural resource taken from animals. Real leather not only differs from each other, even different area of a same skin occurs variation. This is the characteristic of real leather. As leather is made from animal, it occurs the following outlooks. (A) Growth Marks : The naturalism followers always get contradition of the love of it natural beauty, and the sorrow of its unique. (B) Veins : Real leather from real animals, how come no visible veins. (C) Different Outlook : The texture of different part of a body is different. Somewhere tight and somewhere lose. 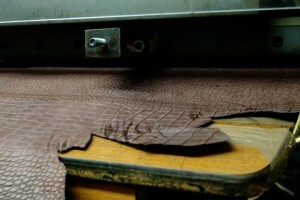 After rawhide is turned into real leather, these characteristic clearly appear. 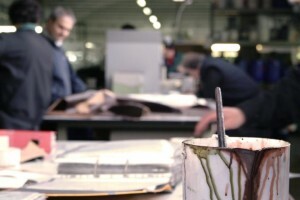 (D) Color Variation : To show off the nature of real leather, the coverage of color compound must be light or thin. Color variation is normal also because the various absorbment of different texture. 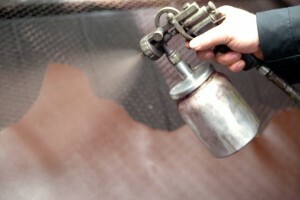 The way to get an uniformed color is to apply a heavy color layer. So it depands whether you like to have natural look and touch of real leather or a color layer.